dis," said Handel, distributing the parts. This done, and a few explanations delivered, Handel retired to a distant part of the room to enjoy the effect. The stumbling, fumbling and blundering that ensued is said to have been indescribable. 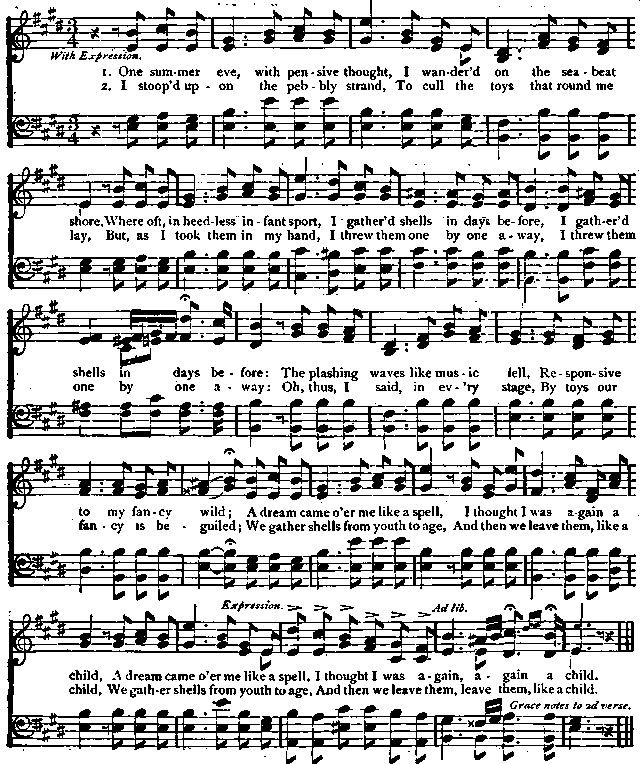 Handel's sensitive ear and impetuous spirit could not long brook the insult, and clapping his hands to his ears, he ran to the old gentleman of the violoncello, and shaking his fist furiously at the terrified man and the instru�ment, said, u You blay in de church!�very well� you may blay in de church�for we read, De Lord is long suffering, of great kindness, forgiving iniquity, transgression and sin; you sal blay in de church, but you sal not blay for me !" and snatching together his manuscripts, he rushed out of the room, leaving his astonished performers to draw their own conclusions. J. W. Cherry. C. Matz Arr.